Recently someone found out a major bug that let you spy on other users phones using Group FacetTime. You were able to hear audio from an unsuspecting suspect without then answering the call. Apple quickly decided to shut down the feature and disable it completely. Right now it will no longer function unless you update to this iOS 12.1.4 firmware. 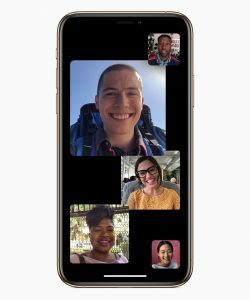 It is still unclear how long the Group FaceTime bug existed for considering Group FaceTime was released last October.